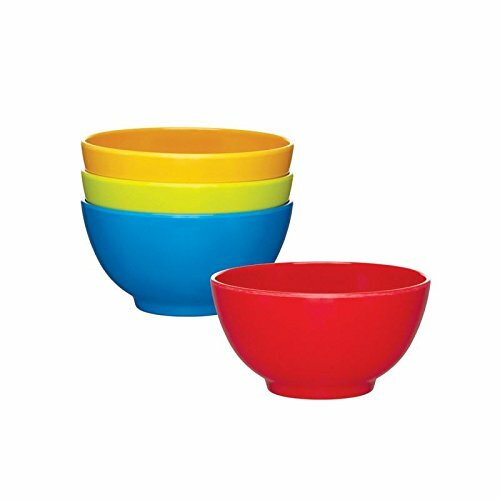 Brighten up children's meal times with this colourful set of melamine bowls that are perfectly sized for snack time, cereal, ice-cream and fruit. With shatterproof and scratch resistant properties, this makes it ideal for childrens use, picnics, parties and outdoor. -Size: 12.5cm. -Dishwasher safe. -Not suitable for use by children under 3 years of age.